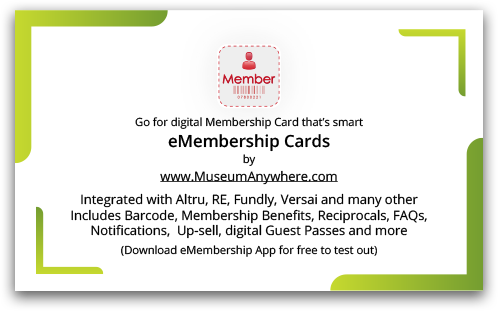 eMembership Cards already integrates with Altru, Raiser’s Edge, Raiser’s Edge NXT, Fundly CRM, Neon CRM and Versai. We can integrate with other membership systems as well. 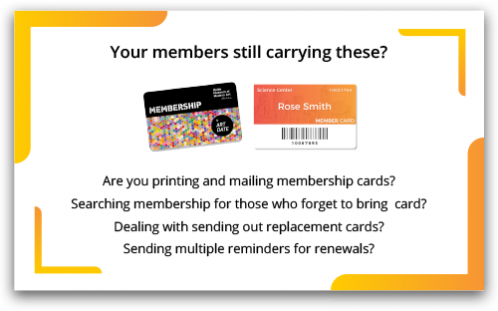 MultiLingual eMembership Cards Coming in June 2018. Member gets Digital Membership Cards on their smartphone. 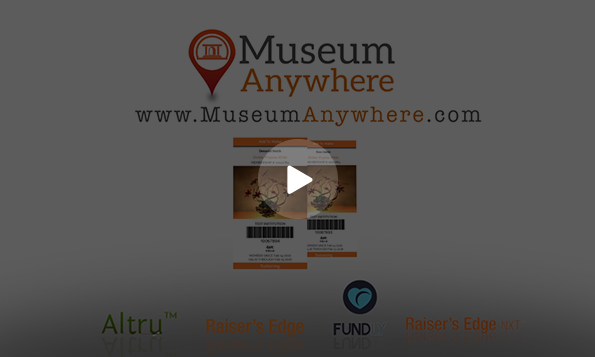 Wallet card pops up on member device, as soon as member comes in vicinity of Museum. Security Module added. Audit trail of downloads, capability to block device and even remotely wipe card if needed. No data entry, scanning or work required from you! No hardware, software to buy. Cut down on mailing expenses. Quick e-delivery of new membership cards. Save recurring costs of outsourced mail-house or internal costs of printing, separating, matching with letter, stuffing envelopes, mailing, supplies and staff time. Fewer reminder letters need to be sent and less checks to deal with.